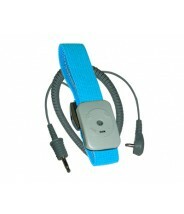 Note: The 724 Monitor can be used with the 2300 series dual conductor wrist straps (not included). 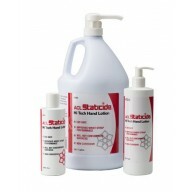 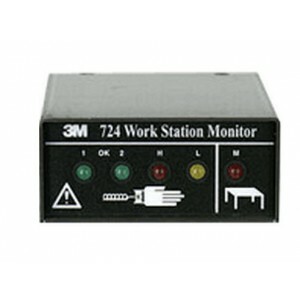 The 3M 724 provides instant notification when a wrist strap malfunctions or when it is being worn improperly. 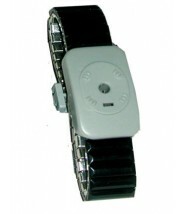 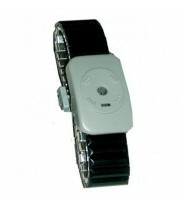 Model 724 continuously pulses a signal which is returned to the monitor through a special wrist strap and cord that contains two separate sets of independent conductors. 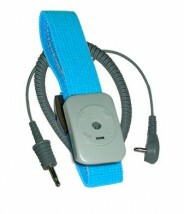 Designed to monitor the operation of the wrist strap grounding systems of two operators by using a DC current source to measure a loop electrical resistance. 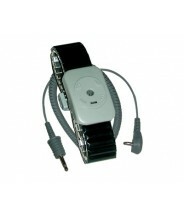 The monitor makes a resistance measurement by passing a very small pulsed signal down one conductor in the cord into one side of the wrist band, from the band through the skin of the wearer, back into the second side of the wrist band, and back down the second conductor in the cord to the monitor. 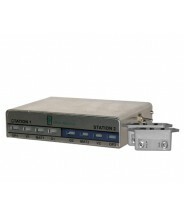 Switches located on the side of the monitor allows for selection of test voltages (9v or 16v) and resistance limits (10 or 35 megohms).